Annual Bluegrass is a tricky winter annual weed that can be difficult to control and eliminate. This grass will go dormant and germinate during the fall/winter months and will flower in the spring. It often grows well in cooler conditions and shorter days and will sometimes die in the summer due to stress from the heat. What you apply and when you apply certain herbicides is very important to control your population. Not many selective herbicides are effective when it comes to controlling and eliminating your annual bluegrass. 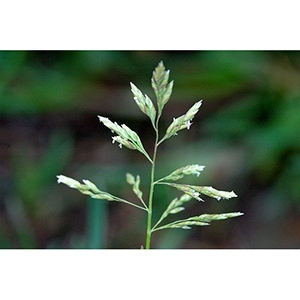 Most chemicals are limited to warm season grass such as zoysiagrass, bermudagrass, centipede, and St. Augustine. Read the label to figure out if the chemical is safe for your lawn. Recommended Products: Revolver, Monument 75 WG, and Certainty. A non-selective herbicide will kill any vegetation that it touches. Apply ONLY when your surrounding turf grass is dormant (all green is gone) and spot treat trouble areas. Apply when there is a low chance of rain to avoid runoff of chemical to other vegetation. Application of pre-emergent herbicides is the most effective way to control annual bluegrass. The first application needs to happen in late fall/early winter before the seed germinates. Apply is when the soil temperature reaches around 70 degrees. A second application is recommended for seeds that germinate late. Pre-emergent herbicides only prevent germination. They do not get rid of an established population.